While the US Air Force was in its infant stages in 1917 another unit was being formed by Brig. General John Pershing. This one was to be made up of woman pioneers who would become the US Army’s first female combat unit. Known as the Hello Girls, these recruits were made up of a force of 450 women, most of which came from the telephone company where they were switchboard operators. Since October 1917, when the new American Expeditionary Forces (AEF) telephone system had been put in place, the American soldiers and the French women working as telephone operators were unable to communicate. The need for bilingual telephone operators precipitated the recruitment of the 450 Americans. Not only were these women trained in military radio and switchboard operations, they also completed other military training. Upon graduation they were sworn in, required to purchase their own uniforms and were issued dog tags and gas masks. The uniforms of the Hello Girls were navy blue at first, and later they were changed to a version of olive-drab green. In March, 1918, the first contingent of 33 Hello Girls were sent to France. Others followed and were sent to numerous locations throughout the war zone where they connected the front lines to general command. During their time at the front, the Hello Girls took on incoming fire like any others soldiers and were called combatants. Congress issued a citation to Grace Banker, Chief Operator, for leading eight operators to the front. They arrived just in time to be part of the Sept. 12, 1918, push in the Battle of St. Mihiel. 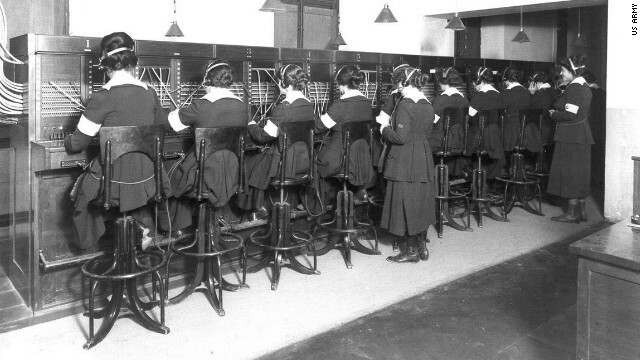 For eight days, these Hello Girls worked around the clock handling communications on eight lines. On Sept. 26, 1918, they were chosen for a new offensive and reassigned to the front, which at that time, was northwest of Verdun, according to the “Stars and Stripes” account of the events. 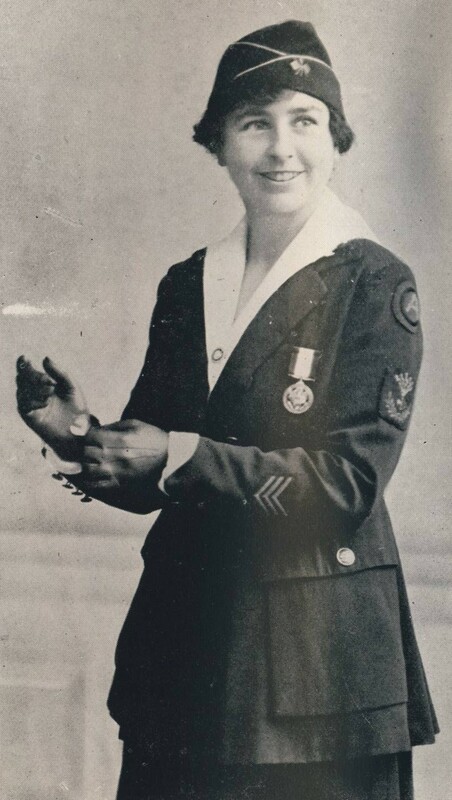 When the Hello Girls call to duty ended and they returned to the US, they requested their veteran’s status, honorable discharges and World War I Victory Medals. Unfortunately, they were turned down because regulations addressed males, not females, and there was a consensus that the Hello Girls were more civilian volunteers then military members. History shows, that throughout the years, the Hello Girls petitioned Congress to receive their veteran status. For almost 60 years they continued their fight led by Merle Egan Anderson. They finally received help from a young attorney, Mark Hough, who took the case once again to Congress and this time their efforts paid off. In 1977, then President Jimmy Carter signed a bill and the Hello Girls finally earned their status as US veterans. Unfortunately, when that time came, only 50 of the 450 Hello Girls were still alive. Those 50 were awarded their Honorable discharges and World War I Victory Medals. 450 young women, known as The Hello Girls, answered the call to duty and served a vital part in the outcome of WW1. These women had proven they, too, deserved a place in history. They displayed a driving perseverance and their persistence earned them the right to officially become veterans. Women have always been a vital part of military HERstory : pioneers, doctor, nurses, combatants, pilots, yeoman and in more roles than may ever be recognized. Today, on this Veteran’s and Remembrance Day, we must remember all these women that proudly served as well as those that dedicated and gave their lives. This entry was posted in Inspirational, Women and tagged 1917, female entrepreneur, female veterans, General Pershing, Grace Banker, herstory, inspiration, Inspired by my mom, inspiring story, inspiring women, Remembering the Great War, Remembrance Day, The Great War, The Hello Girls, US in WW1, Veteran's Day, veterans, wartime, women in wartime, World War 1, WW1. Bookmark the permalink.